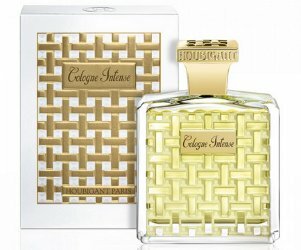 Houbigant Paris has launched Cologne Intense, a new fragrance paying tribute to classic cologne. Light, Fresh, Discreet, Delicate, Cologne is associated to the idea of scented water. The name evokes other suggestions, sun, sea, lavender fields, citrus groves. Exactly what its inventor, Jean- Marie Farina, had in mind when he began marketing the first bottles of his aqua mirabilis, three hundred years ago, in 1709. The name “Eau de Cologne” (Water from Cologne) was given by the soldiers of Louis XV who brought back this incredible perfume from the city of Cologne during the “Seven years war” and introduced it to the Royal court of France. Cologne has become a generic term, but the original formula is only one, which has bewitched distinguished clients from every era: Charles VI, Louis XV of France, Frederick William Ist of Prussia, Napoleon Bonaparte, Mark Twain, Johann Wolfgang von Goethe, Konrad Adenauer, Indira Gandhi, Romy Schneider and Princess Diana. The Cologne of House of Houbigant is true to the original formula and uses only the world best raw materials available. The notes include bergamot, lemon, petit grain, neroli, lavender, estragon, pink pepper, incense, jasmine, mate, patchouli, labdanum, amber, oakmoss and musk. Houbigant Cologne Intense is available in 100 ml Eau de Parfum ($180) or in 100 ml Extrait ($600).